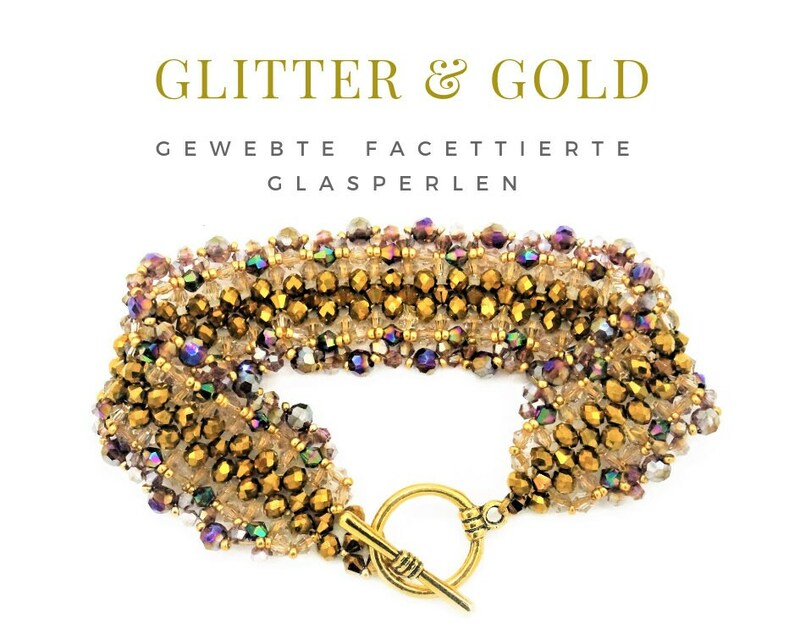 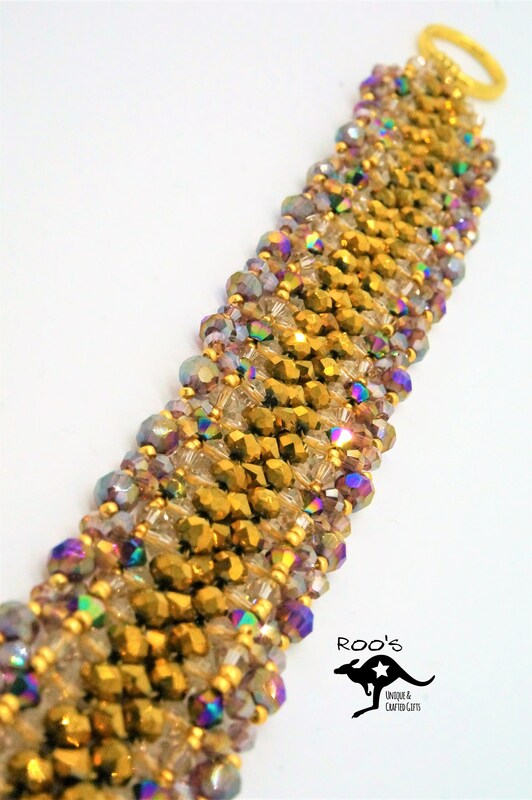 Golden woven bracelet made of shimmering faceted glass beads, which is closed with a golden gag clasp. 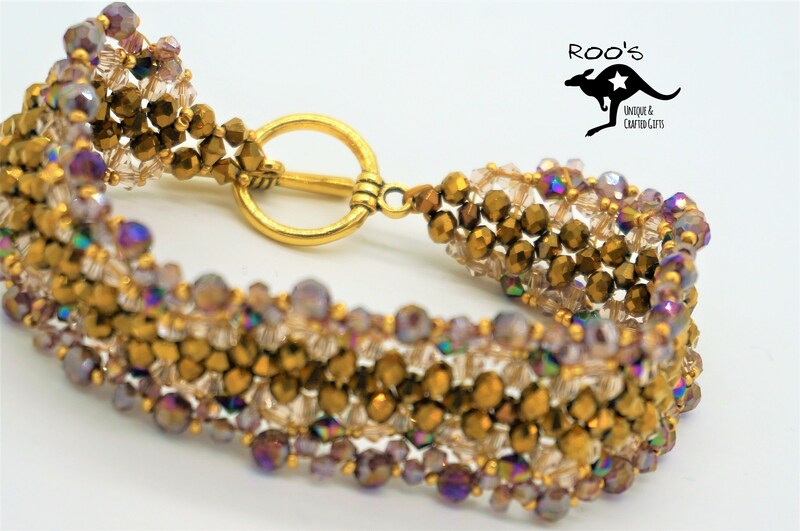 The 20.5 cm long and well 2 cm wide bracelet fits with a wrist circumference of 18-20 cm. 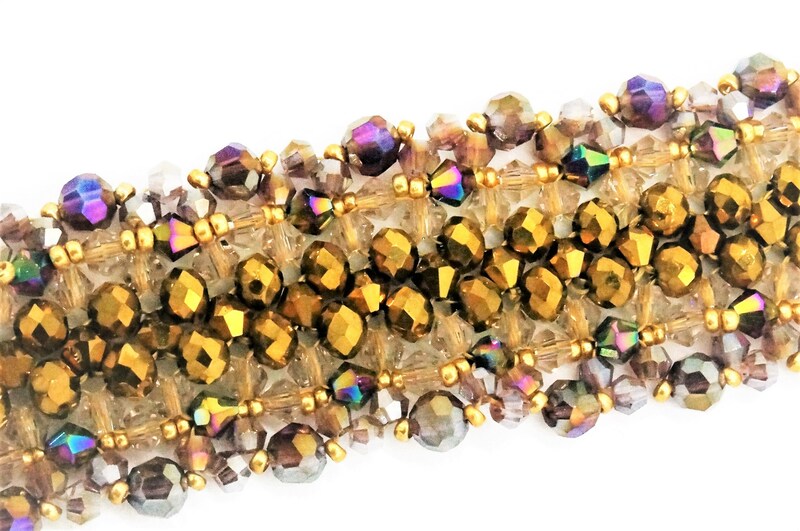 This lavishly crafted unique piece is shipped as a gift wrapped in a small black organza bag.